if you're dedicated to good times in the mountains. 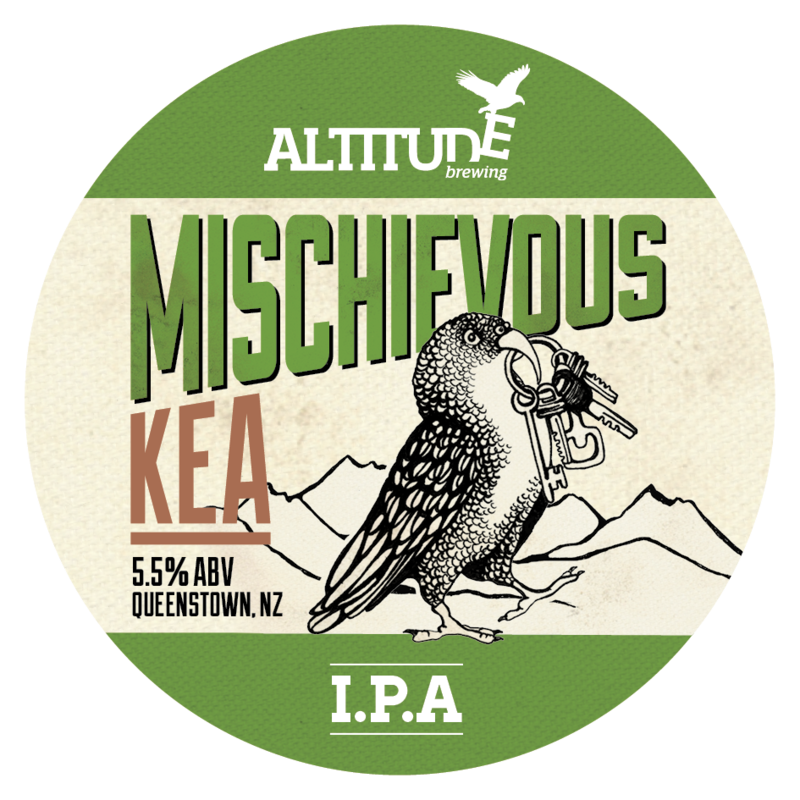 Created high in the striking Southern Alps, the Mischievous Kea is a fresh take on the traditional IPAs that are a favourite of many mountain folk and their urban counterparts. Named in honour of the cheeky mountain parrot that loves nothing more than to have a good time. While you drink we hope you will forgive these guys as you fondly recall returning to your partially deconstructed car following a day in the hills. Brewed using all NZ ingredients and the maximum amount of love legally allowed, this award-winning brew is an intensely aromatic and palate-popping adventure that showcases just how good our malt, hops and brewers really are. Fresh snow, blue sky, no wind and the first chair. Gets you to the top just in time to see ski patrol finishing your favourite run. They grin, lean on their poles, check out your girlfriend and posture. Slushy moguls, long day and just had lunch. Face full of snow you pick up your skis as the instructor gang bounces past and gathers below. They smile condescendingly, lean on their mates, check you out and posture. Dedicated to the posturing mountain professionals who are certain they are the pinnacle of human evolution. You guys keep us health and are under appreciated by many. 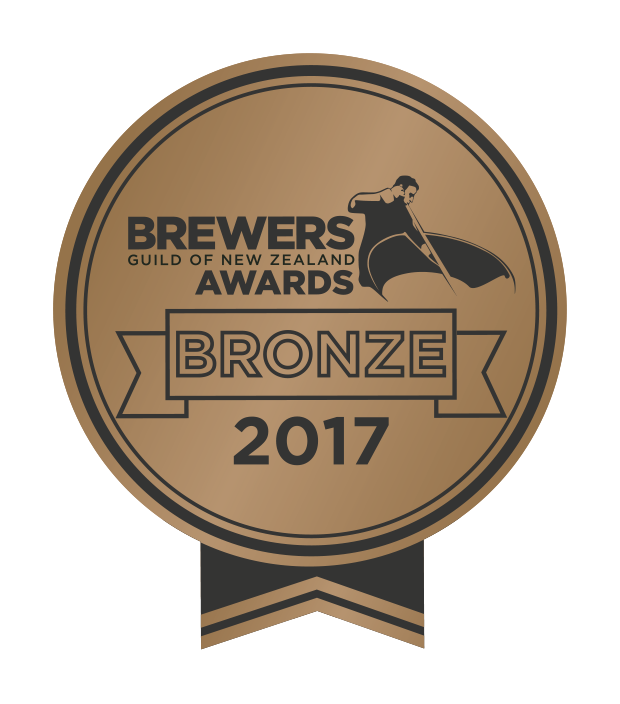 Designed with NZ's brewing heritage in mind this award-winning beer is a salute to the old days and flavours of NZ brewing. Gold! 1861 was the year in Central Otago and it saw 18,000 prospectors rush to the region. They came from all over the world to the lakes at the base of the Southern Alps to claim their share of the wealth of the fabled Mt Aurum and it's surrounding rivers. The miners put years of backbreaking work into panning for gold and knew that at the end of each hot day a refreshing brew was a sensational way to invest some of their hard earned profit. The Goldpanner's Profit is just that, a crisp and refreshing lager that is named after the icons of our region and a beer that is brewed lovingly for you because one way or the other you've probably earned it. Who doesn't love long summer days? Longer days mean bigger trips, higher peaks and flying further. Whether you're climbing a crag, standing on a peak or pulling a wing over it's all good. And a persistent high is the reward. Previously named the Long White Cloud, this brew has an award-winning pedigree. As per the purity law it is traditionally brewed like it should be in Germany and we are uber-careful to wear lederhosen during every step in the process. Slightly cloudy in appearance, this beer is best enjoyed poured with a big frothy head. And remember - the natural high is always the best kind of persistent high. Here in the Wakatipu we know that you know there are no friends on a powder day. And if you are super-lucky enough to be in NZ enjoying classic ankle-deep windblown pow, with enough white stuff to just about cover your buckles the order of the day is always: ski, ski, ski, eat on the lift, ski more, then wait for your mates in the carpark. Snorkels totally optional. We're aware that whilst this approach means you always get the best snow, it is not necessarily good for your relationships. This beer is made to help you rekindle the love at the end of the day. A Pils for Aprè enjoyment or mid-summer slaking - crisp, fresh and full of character. It'll keep your tips up! Sick days. In NZ we get five of them a year, and boy do we need them. More and more people are being diagnosed with a condition known as 'Singletrack Mind'. It's thought to be behind 72.3% of all mountain biker's days off work. Sounds totally legit, right? Identifying sufferers of this condition is pretty straightforward. Symptoms can often include poor attention levels during mundane tasks, dirt in unusual places, involuntarily shouting 'yeow' at strangers, and grinning for no identifiable reason. We know that you'll use your sick days wisely...hangovers don't count. This beer is for the wise, those that value time outdoors, and who'll enjoy this malty, caramel Red IPA with a US hop bite. The Moonlight Track links Arthur's Point with Moke Lake behind the peak of Ben Lomond. Once home to the legendary wild man Barry Crump, it's named after old time gold prospector George Fairweather Moonlight. Records reveal George succumbed to exposure searching for nuggets, but locals still believe he met a grislier fate. Although the track is best walked at night, with the light of a full moon to guide your way, tread carefully as old George Moonlight may just be out exploring with you. The Moonlight Track is a peated stout, the first of its kind in NZ. A smokey single malt nose with a smooth chocolate taste. A brew of genuine comfort. With this beer we proffer obeisance to the King of the Mountains. Himalayan Tahr are the royal family around these parts, and as we venture into their fief - we must pay our tithe. Usually spotted in full fur regalia this monarch will give you a haughty stare; the unspoken challenge of a head-butting duel. Seeing you are no threat to his reign, he leaves you behind and contemptuously trots away to oversee some other very important business. The Tahr have made the tundra of the Southern Alps their kingdom and rightfully demand the best. 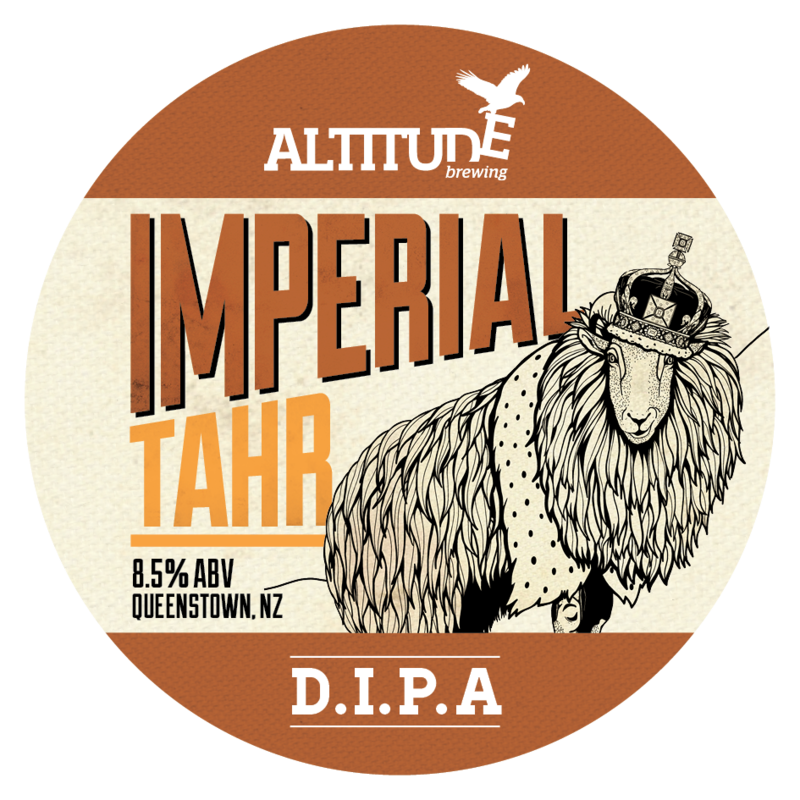 We have delivered with this Imperial IPA. Brewed in the hazy East Coast US style and left unfiltered to extract maximum flavour from the hops and malt, this beer delivers sensory awareness fit for a king. 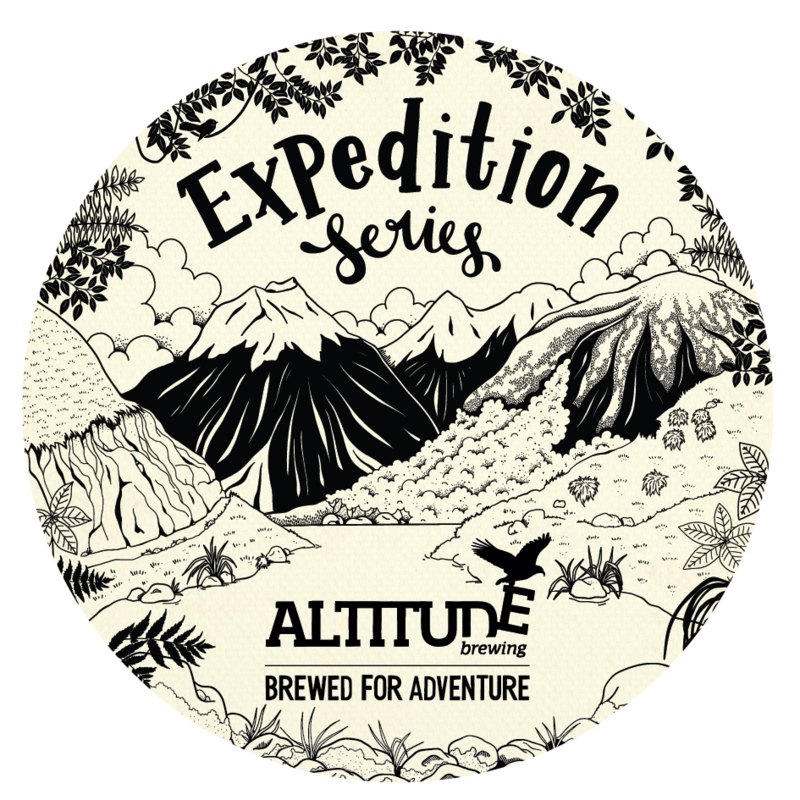 The Expedition Series is where we take your taste buds on an epic adventure. An ongoing collection of experimental, weird and out-there ideas that might just take you somewhere you've never imagined before. 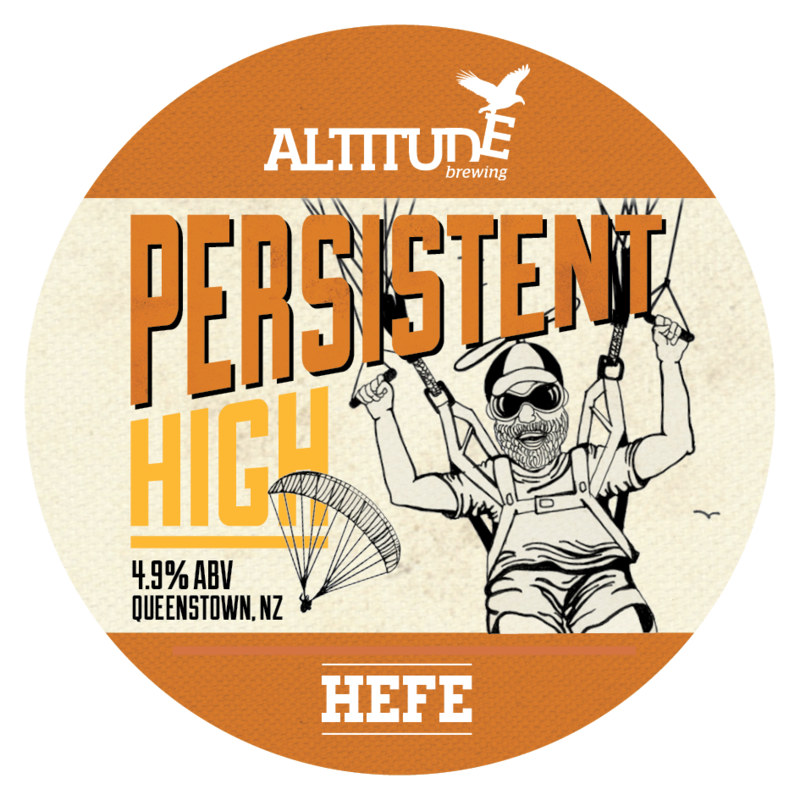 Altitude Brewing is Eliott Menzies and Eddie Gapper. Come and meet the team.